On a mild, early spring Sunday in February 1950, the writer Robert Walser and his friend Carl Seelig were eating in a pastry shop in St. Gallen, Switzerland. “Robert rolls a misshapen cigarette,” Seelig writes. “Since it isn’t well tamped, it flares a bit. The couple next to us begins to giggle; they apparently take Robert for an unworldly farmer. He tells me that now he sorts and unravels twine for the post office. But he is content with the work. He simply takes what comes.” This episode delights me no end, in part because it occurred on the very day on which I was born, in part because it epitomizes the spirit of Robert Walser. Sylph Editions and The Center for Writers & Translators at the American University of Paris continue their outstanding collaboration with their Cahiers Series 18, Her Not All Her: on/with Robert Walser, a play by Elfriede Jelinek. The only stage direction in the play is this: “A number of people to each other, all very friendly and well-behaved (perhaps lying in bathtubs, as was once the custom in mental hospitals),” which obviously provides wide latitude for producing the piece on the stage. There are no characters or voices identified; instead, the play is written in paragraphs, just like a short story or essay. Without the clue provided by the stage direction, it would be eminently reasonable to read straight through Her Not All Her as if there was but a single voice that probably emanates from Walser. “Would you like to hear the novel of my life?” But on closer inspection, it becomes less and less clear who might be speaking at times. In some paragraphs the first-person narrator seems as if it could be no one but Walser. At other times it appears that someone else might be addressing Walser; or, it could well be that Walser is addressing himself in the third person – a not unreasonable possibility. 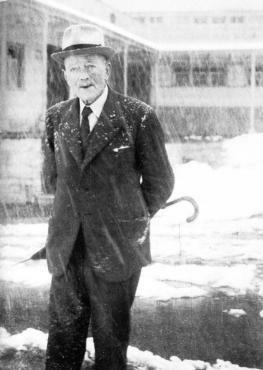 But even when it seems like it might be Walser speaking, it isn’t always discernible which Walser is speaking – the young Walser-as-successful-writer or the elderly Walser who spent the final three decades of his life in a mental institution, where he wrote but meagerly. Memory is a hardware store where writers try to help themselves to something for free until all of the suffering falls on their heads because they pulled the bottommost plank out of the pile first. So now I garb myself in delicate absentmindedness and no one can ask anything of me now, I’m dreaming, or temporarily dead at the moment. What Jelinek’s play highlights is that the act of literary confession, striving for self-determination, is always also an attempt to free oneself from just this obligation to have any identity at all. Robert Walser is one of those people who do not mean themselves when they say “I.” It is true he never stops saying “I”, but it’s not him. The title Her Not All Her is an English adaptation of the German original (Er nicht als er), which itself is a wordplay built out of the German syllables of Walser’s name, as if Walser was himself was a literary construction. There are several brief, but extremely evocative videos of a 2011 production of Er nicht als er at Meetfactory in Prague under the direction of Katharina Schmitt here and here and here, which show one approach to producing this on stage. For anyone who wants still more, there is a CD horspiel of the play available here, spoken by Bruno Ganz. This is the first time the play, which premiered in 1998, has appeared in English. The 40-page pamphlet also includes a brief statement by Jelinek, an essay on Jelinke and Walser by Reto Sorg, Director of the Robert Walser Centre, and reproductions of thickly impastoed paintings of faces by British artist Thomas Newbolt. The translations are by Damion Searls. I previously wrote about Cahiers Series 14, Animalinside by László Krasznahorkai. Valérie Mréjen launches an investigation into writer W.G. Sebald and his work. Following upon the “lecture-performance” and the “spoken painting” that previous editions of the Festival have introduced as new and viable genres of contemporary art, this forensic investigation calls upon the ghosts of the past to cast a glimmer of light on the unknown future. “The SIP Re/View # 2: W.G. Sebald” will take place in Tel Aviv on March 5, 2012. The Shpilman Institute for Photography and Holon Mediateque (Israel) are proud to announce The SIP Re/View # 2: W.G. 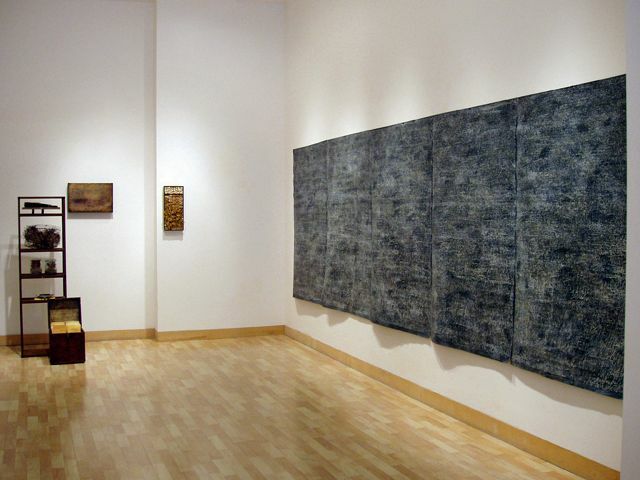 Sebald, an interdisciplinary event dedicated to the works of noted German writer and scholar, whose work continues to resonate in contemporary art and culture. The evening will begin with a panel of local artists and writers: artist Zvi Goldstein, psychoanalyst, artist and art-critic Itamar Levi and The SIP’s research manager, Dr. Romi Mikulinsky will, present three perspectives about Sebald’s evocative use of images and photography as vehicle to convey and distort meaning. 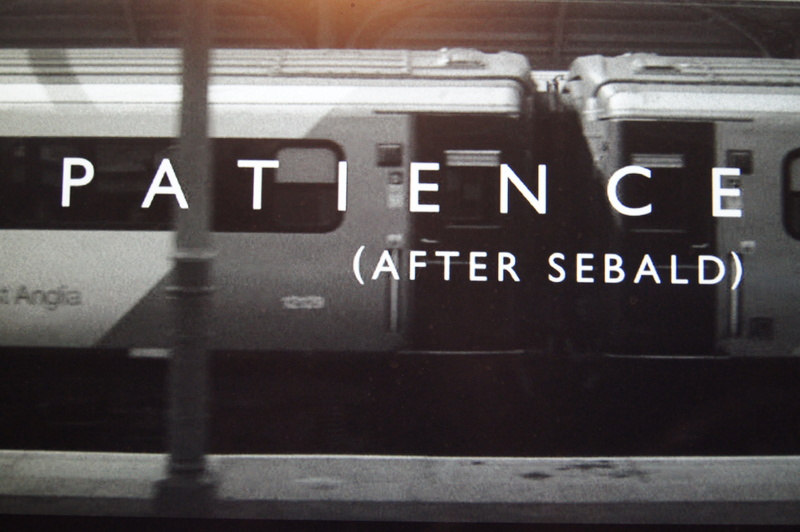 The event will feature keynote speaker Grant Gee, acclaimed documentary film-maker and director of Patience (After Sebald). This multi-layered film is narrated through a walk through coastal East Anglia whilst tracking Sebald’s The Rings of Saturn. Gee will host an open debate with the public, following a screening of the film. The event will also present a temporary library, focusing not only on Sebald’s work, but also on contemporary reactions in art, culture and literature, featuring the works and writings of international creative forces. As well as history and architecture books, special photography books and art manuscripts will be presented at the mediatheque during the first weeks of March. One of the most remarkable artists of the Twentieth Century, the Swiss writer Robert Walser (1878-1956) has had a huge influence on a long list of literary, artistic and philosophical figures from Franz Kafka to Walter Benjamin, W.G. Sebald to J.M. Coetzee, musicians such as Heinz Holliger, contemporary visual artists from Fischli & Weiss to Billy Childish, and filmmakers including João César Monteiro, Percy Adlon and the Brothers Quay. In recent years, international interest in Walser’s work via a growing number of world class translations has generated a wealth of new writing, artwork and critical discussion which continues to explore Walser’s unusual legacy. 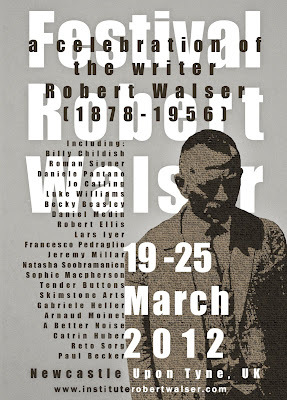 The Institute Robert Walser will use Walser’s multi-disciplinary appeal as the basis for a week long arts festival in Newcastle upon Tyne in arch 2012. The festival will bring together local and international writers, academics, performers, musicians and visual artists. Participants include: Billy Childish (artist/writer/musician), Roman Signer (artist), Daniele Pantano (writer) Luke Williams (writer) and Jo Catling (translator/academic). The festival will also serve to showcase the extraordinary cultural and artistic diversity in the city of Newcastle at this time; it will be launched on March 19th at Newcastle City Library and will take place across a range of venues. I’ve been reading Robert Walser’s The Tanners for more than a month. It’s a novel best consumed in small doses, full of wonderful writing and a touch of madness. In a way, it strikes me as the novel that I imagine to be most like Walser himself: contradictory, plotless, modest, and occasionally magical. 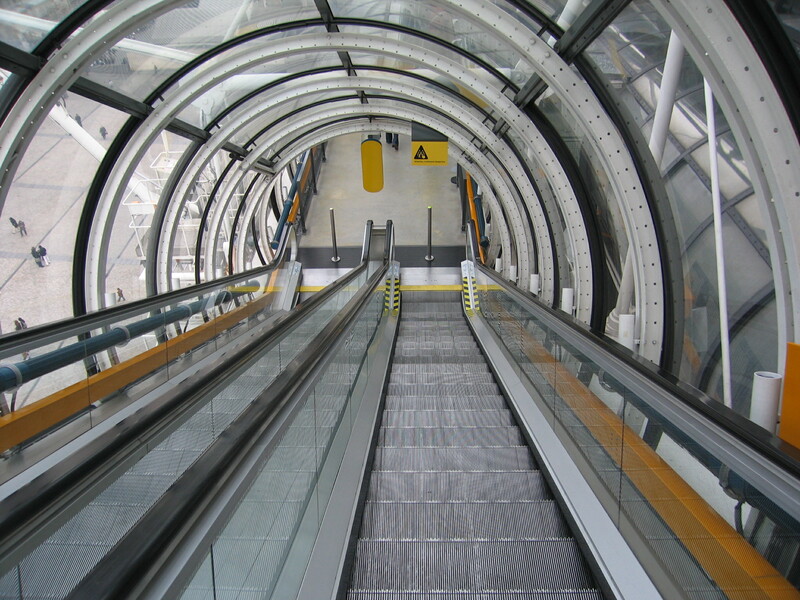 It deals with dichotomies: freedom and dependence, city and country, money and the lack of money. The Tanners is the story of the Tanner siblings: Klaus, Hedwig, Emil, Kaspar, and Simon, who is the main character. Simon is a man of little ambition, drifting through life, jobs, borrowed places of residences, friendships. lovers. His real talent is the gift of gab and its offshoot – the gift of self-delusion. As he alternates between berating himself for his total lack of ambition and cherishing his utter independence, Simon spends an inordinate amount of time convincing himself – at least momentarily – of the goodness of his intentions, whatever they may be at the moment. People either flee him in disgust or adopt him. It’s curious that The Tanners, written in 1907, was never translated into English before this year, for the book would have been a Bible to the hippies and the Beats of my generation. “Misfortune is educational,” Simon declaims, echoing a sentiment many of us shared as we muddled through the awful 60s. Simon’s philosophy of life was one I could have called my own forty years ago: “I currently enjoy the respect of only a single person, namely myself. But this is the one whose respect is worth the world to me; I am free and can always, when necessity commands, sell my freedom for a certain length of time so as to be free again after.” What Simon rarely sees is the effect his dependence has on others; and, of course, no one can ever become dependent on Simon. As I noted earlier, this publication of The Tanners contains the first English translation of W.G. Sebald’s essay Le Promeneur Solitaire, one of his most revealing pieces of writing on literature. Some artists obfuscate when it comes to talking about those who influenced them, while others readily identify their own artistic forerunners for us. When W.G. Sebald reflected back on Robert Walser’s writings in an essay first published in 1998, he also traced a deliberate path connecting his own writing with Walser’s. The essay, Le Promeneur Solitaire, which recently appeared in English in the guise of an Introduction to the new translation of Walser’s novel The Tanners (New Directions, 2009), is every bit as revelatory about Sebald as it is about Walser. What is the significance of these similarities, overlaps, coincidences? Are they rebuses of memory, delusions of the self and the senses, or rather the schemes and symptoms of an order underlying the chaos of human relationships, and applying equally to the living and the dead, which is beyond our comprehension? There is scarcely a better description of the pattern behind Sebald’s own prose than this. Sebald identifies so closely with Walser that he “has the persistent feeling of being beckoned to from the other side.” So, when he writes about Walser, it can be instructive on occasion to simply substitute Sebald’s name for Walser’s. [Sebald] hoped, through writing, to be able to escape the shadows which lay over his life from the beginning…transforming them on the page from something very dense to something almost weightless. His ideal was to overcome gravity. [Sebald was the] clairvoyant of the small. Le Promeneur Solitaire is surely one of Sebald’s most personal essays about literature and it is wonderful to have it translated into English at last. Somewhat buried in the notices on the copyright page of the recently published novel The Tanners by Robert Walser is the first notice I have seen that an English translation of W.G. Sebald’s Logis in einem Landhaus is in the works. The Tanners opens with Sebald’s essay on Walser called Le Promeneur Solitaire (more in this in a forthcoming post), and the related copyright notice indicates that this essay from Logis in einem Landhaus has been translated by Jo Catling “from the forthcoming work A Place in the Country by W.G. Sebald to be published by Random House.” There is currently no mention of the book on the Random House website. As I have written earlier, Logis in einem Landhaus (Munich: Carl Hanser Verlag, 1998) includes essays on Robert Walser, Gottfried Keller, Johann Peter Hebel, Jean Jacques Rousseau, Eduard Mörike, and Jan Peter Tripp. Undoubtedly influenced by his earlier forays into fiction – Die Ausgewanderten (1992) and Die Ringe des Saturn (1995) – Sebald inserts images of all types into the essays in Logis in Einem Landhaus. In fact, each of the six essays receives a large foldout image in full color. Will Random House spring for the expense to do the same? Until Catling’s translation of Le Promeneur Solitaire, the only essay from Logis in Einem Landhaus to have appeared in English is the one on artist Jan Peter Tripp, which is included in the British and American editions of Unrecounted, the book on which Sebald and Tripp collaborated. Many things connect the two writers Robert Walser and W.G. Sebald, but probably nothing more than the passion each had for walking. Between 1936 and 1955, Carl Seelig, who would become known as a biographer of Albert Einstein, took nearly fifty long walks with his friend the Swiss writer Robert Walser. Seelig would meet Walser at the train station at Herisau in eastern Switzerland or at the sanitarium where Walser had been since the early 1930s, diagnosed with schizophrenia. 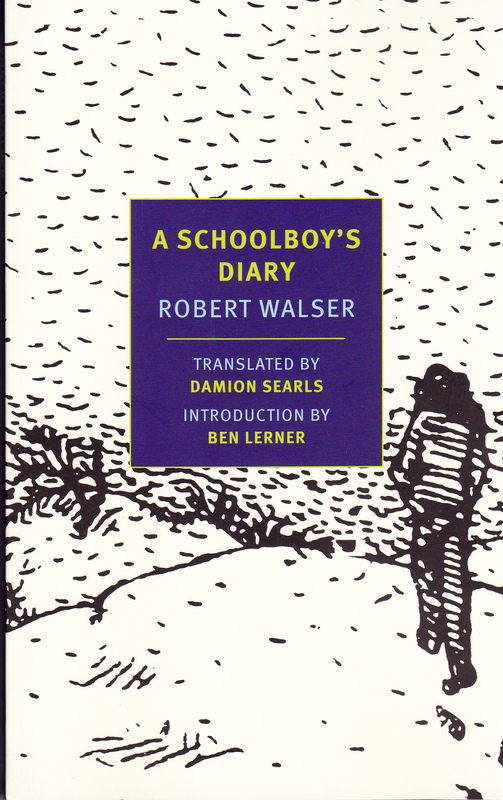 Seelig’s notes of their walks and conversations have appeared in German as Wanderungen mit Robert Walser and in French translation, but the book has never appeared in English. Bob Skinner has been working on a draft English translation of Seelig’s book. Even though his translation is still a work-in-progress, it makes for very compelling reading on several levels. His Wandering with Robert Walser shows the sometimes crotchety Walser talking about his own books, other authors, his life, and a long list of other topics, including Hitler and the Nazis. W.G. Sebald was a great admirer of Walser (I have written about Walser several times before), so, in order to make a link between the two I thought I would excerpt several passages that reflect on the topic of Sebald’s book The Natural History of Destruction. On several occasions, Walser talks with Seelig about the aerial destruction of Germany by the Allies. [from 2 January 1944] We spoke first about the bombing of German cities. I noted that I found is awful to wage war against women, children, and the sick, regardless of which side was doing it. Hitler’s bombing of London didn’t excuse the Allies’ use of this inhumane tactic. Robert objected sharply that I was being too subjective and sentimental. A country in as much danger as Britain must pursue the most hard-hearted Realpolitik. The Hitler-Huns deserved no better. When it’s a question of survival every nation becomes selfish; even Christianity must content itself with a secondary role. I had my own brief Sebaldian moment when Seelig recounts a walk with Walser on February 5, 1950, which is the day I was born. In a confectioner’s Robert rolls a shapeless cigarette which starts a little fire when it’s lit. A couple nearby snickers; they think he’s a hick. He says that in the sanitarium he’s now sorting and untying string for the Post Office. This work is all right with him; he’ll take what comes. [from Christmas 1955] If in Wanderungen mit Robert Walser the subject is frequently food and drink, and certain subjects repeat themselves in occasionally contradictory ways, and passages occur which may perhaps shock a few readers, I’ve risked that for the sake of the integrity of a unique personality, even if that serves to cast a shadow on him. It’s a consolation for me that our strolls brought some variety to the monotony of decades in confinement. I’ll never find a more enthusiastic walking companion than him.